Over the past week, the world has been enthralled by the saga of Jerome Jacobson, an ex-cop who rigged the McDonald’s Monopoly game and spent years distributing winning game pieces to friends and strangers as part of a scam that supposedly netted him somewhere around $24 million. To make it even more dramatic, Jacobson was the head of security at Simon Marketing, the company McDonald’s used to make the game pieces, so he was literally the guy in charge of maintaining the integrity of the giveaway. For everyone who spent more money than they’d care to admit on McDonald’s food in hopes of solving all of their problems with one specific game piece, it was a pretty brutal revelation. It’s also a very good and very elaborate story, as told in this piece from The Daily Beast by Jeff Maysh that brought Jacobson’s story back into the spotlight (his trial happened in September of 2001 if you’re wondering why you don’t remember this). Today, after what must have been a really fast and really intense bidding war, Fox has picked up the rights to the Daily Beast’s story with Ben Affleck now attached to direct and Matt Damon set to star. That’s according to Deadline, which says Deadpool writer Paul Wernick and Rhett Reese are writing the script, so this is quickly shaping up to be a big deal—as the McDonald’s Monopoly game often does. 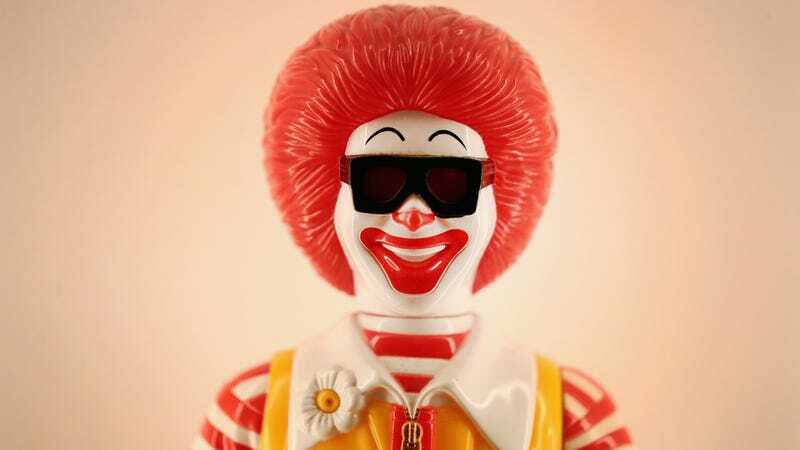 After this and The Founder, we just need a biopic about Ronald McDonald and the McCinematic Universe will be ready to go.